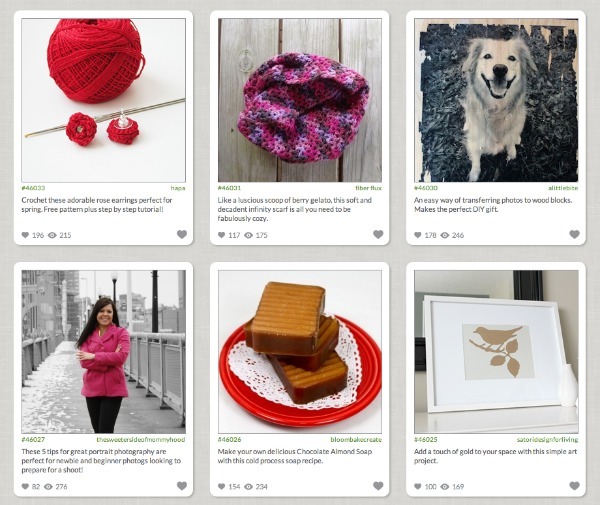 Simple strategies for growing a creative blog when you’re first starting out. I’m not sure where the weekend went, but I think it may have something to do with losing an hour from daylight savings or the crazy “weekend list” that was a mile long! On Friday we toured a college campus with my son and I think he has made a decision about where he’ll be in September. I really can’t believe we’re at this stage already, but I’m thankful I have several months to prepare. How did I grow my creative blog? I’m relatively new to blogging and still have a tonne to learn. I certainly don’t pretend to be an expert on the topic. In fact, I really didn’t focus too much on the “numbers” for the whole first year of blogging. For me it was about sharing my journey, connecting with other designers, and showcasing my work. Then, as I started to enjoy blogging more and more, and opportunities started to present themselves because of it, I took the numbers a little more seriously. I started to pay attention to how many people were reading daily, where they were coming from, and which posts they were most interested in. It was then that I started putting two and two together and was able to formulate and implement strategies for growing my blog, my brand, and in turn, my business. Of course there are always many pieces to the puzzle, but a few key adjustments or tweaks to the way I was previously doing things really made all the difference. If you’re an established blogger these may seem like a no-brainer. But for those of you who are new, these simple changes may help you see a growth in blog traffic like I have over the past few months. 1) Write posts that include good SEO. In January I was introduced to SEO for Creative Bloggers thanks to Beckie from Infarrantly Creative. 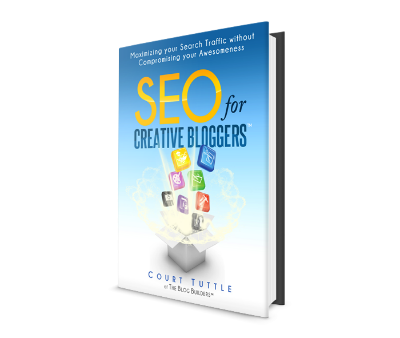 It’s a fantastic free e-book written by Court Tuttle of The Blog Builders that outlines simple ways to maximize search traffic without compromising your voice (or “awesomeness” as he puts it). I find the techniques simple to understand and relatively easy to implement (still working on it). And the best part is you don’t have to be yucky about it all (if you know what I mean). 2) It’s okay to promote yourself. Tooting your own horn probably doesn’t come naturally to you, but sharing projects on other sites really helps to build traffic. Over the past year, Pinterest continues to be one of my top referrers (according to google analytics), and that tells me people are clicking on the projects to see more. They’ll want to see yours too! 3) Form connections with other like-minded bloggers. I can’t say enough about how important it is to reach out into the blogosphere and form a tribe. These people will be your biggest cheerleaders and will do their best to spread the love. Not a day goes by that one of my gals doesn’t pin a photo, tweet about a post or share one of my projects in some capacity. I’m always conscientious about reciprocating in one way or another as well. It doesn’t take long for people to realize you’re the real-deal and more and more blogging opportunities will come your way because you are a person who can be counted on. Soon, you’ll be asked to partake in a blogging series, guest post or contribute to a book. The experience and exposure will be invaluable. I definitely remember what it was like starting out in the blogging world. Perhaps your sister, your neighbour and your husband are your only readers at the moment, but it doesn’t have to stay that way forever. Keep plugging away, try something new, tweak a little here and there… Before you know it your blog will have grown even bigger than you thought was possible! I have to admit I don’t even know what SEO means, lol. Thank you for the tips! I’m going to have to bookmark this. As a reader of blogs for many years, I just skipped over the ones that dealt with blogging business. I wish I paid more attention now! There’s a lot to learn when it comes to Search Engine Optimization for sure. I’m paying more attention now since there are very small changes you can make that have huge impact. Be sure to check out the e-book because it has a ton of good info. Good luck! Thank you so much for your tips Shauna and I really need to look at that ebook to learn more about SEO! Great tips, Shauna. I read through Court’s book too. Loved it! 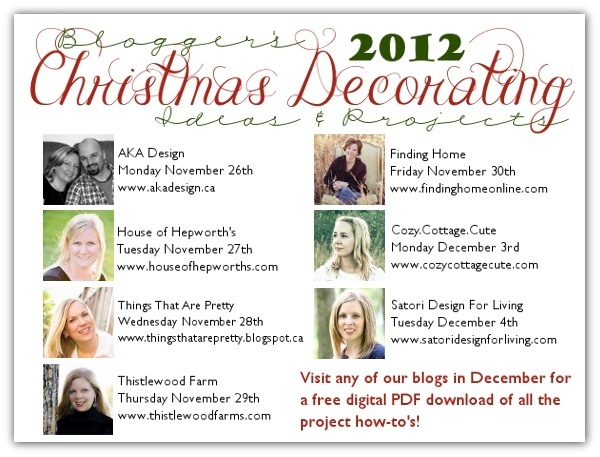 Thanks for including Blogger Homes in the submission site list!!! Your new site is awesome. Wishing you much success! Hey Shauna, thanks for the shout-out. I’m really glad that you found the book useful. As you can tell, I am REALLY into SEO. I just love figuring things out. You have a beautiful site. Let me know if there’s anything I can do to help you out. Thanks for stopping by! I just had to share your e-book because I know there are a lot of creative bloggers out there who can benefit from it. Your blog has been added to my weekly reading list. Totally know what you mean, although my husband and son seem to keep up pretty good with my posts. They say they don’t want me to blog about anything to do with them, but they’re pretty quick to mention when they see their names. It’s pretty funny! Good luck with everything! Great tips Shauna, thanks for sharing! I’m pinning your post. Totally agree with all of your tips! SEO is such a beast….I wish I cared more about it. I have watched a few of the g+ hangouts that Beckie and Court have done and they’ve been really helpful. Thanks for the info about Blogger Homes…I haven’t heard of that site before. Craftgawker is a huge referrer for me….and when I post a project I usually get sucked in for hours looking at all of the other great projects on there. You should definitely submit photos of your rooms you have blogged. I think it’s really going to take off. Awesome tips! Not just for newbies either – everybody needs a refresher course!! I need to get over my self-consciousness about promoting myself. I am really, really bad at that because I feel like an attention whore! Thanks sof the tips and resources. I’ve been blogging on a mixed blog for years, but am starting a new one just for DIY/home décor, so need to start from scratch, essentially! Hi thanks for the read. I’m Canadian too, do you think living in the north you’re at a disadvantage to other creative bloggers? I find a lot of network opportunities are directed towards the US. Plugging away at making my presence better. Hi Virginia, I agree, but it seems like opportunities are getting better with a few Canadian based ad networks. There are some US PR and social media companies that I’ve partnered with as well, such as SITS Girls and Blueprint Social. Sometimes it depends on your readership (I have a large percentage of US). Keep plugging away and it seems like people start to find you. Thanks for stopping by! Thanks Thea! I think we all learn a lot from each other!